So excited for you! Your details are on the way to your inbox. If you're a Spiritual Coach, Healer, Empath or Lightworker, you need to keep reading below. What I'm about to share with you will change your entire life and business. 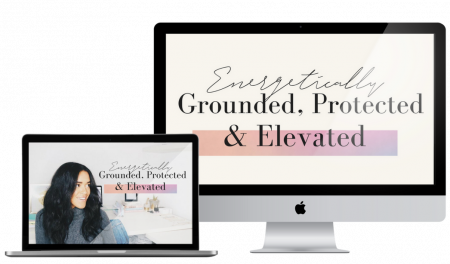 Are you an empath, intuitive, healer or coach but you haven't learned how to protect your energy yet? Do you desire to help others in a deep way, but you don't want your own energy to get tapped out, and you haven't learned how to clear, protect, ground and elevate your energy? Do you find that you are constantly feeling anxious, nervous, or fearful and you don't know why? Because you might be an empath and taking on other people's stress and negative emotions without even knowing you're doing it. Do you feel physical or emotional pain in your own body when you see others in pain, or even when someone describes a painful or hurtful situation to you? Do you find it hard to be in social situations because you can sense low vibe energies of certain people who you're surrounded by, or the environment you're in? Are there people in your life that you feel physically tired, or low energy, when you're around them, and even when you leave them you still feel drained when they are not around you anymore? Darling, you might be an empath. I get it, because I was there. My whole life, I always had a 6th sense, but I never know what it was. I could sense something....else. I would know what people were thinking and feeling without them even telling me. I could never watch gory movies, or even 'funny' shows where people fall over becuase I felt physical pain seeing those people in pain. When I would be in certain situations, I would feel an energetic drain. And I never knew what it was. When I started my coaching business, that's when things got really real for me. After working with some of my toughest clients- I would experience this feeling of 'heartbreak' for weeks or even months after working with them. Being someone who is in tune with my feelings, and vibration, I knew something was off. That's how I discovered that I was a full-on empath, and that because I never learned the proper tools to protect my energy, and use divine source energy- I was instead healing other people with my own energy. Protect yourself before you wreck yourself. I was sucking the life out of me because of my passion to help other people. I asked my guides to support me, and I was guided to the answers I needed. I discovered that we create esoteric (energetic) cords with EVERY-SINGLE-PERSON we come in contact with. Yes, even your mom, your ex boyfriend, your co-workers, and your coaching clients. ALL OF THEM. And if these people are draining, then they can be draining our energy from us, even when they are miles and miles away from us. I went all in to learn techniques to help me understand my energy, cut the energetic cords that were attached to particularly draining clients and people in my life- and everything changed for me. I could get up earlier in the morning. I felt better about myself, and the work I was doing. And the tension headaches and feeling of heartbreak was removed. I've been guided to show more people how important managing your energy, especially as a healer, coacher and lightworker is, and share my unique practices that I use in my practice to keep my energy levels high-without caffeine. Ready to understand how you can protect, ground, and elevate your energy so you can still support the people you care about from a place of high service, while hanging on to your magic? 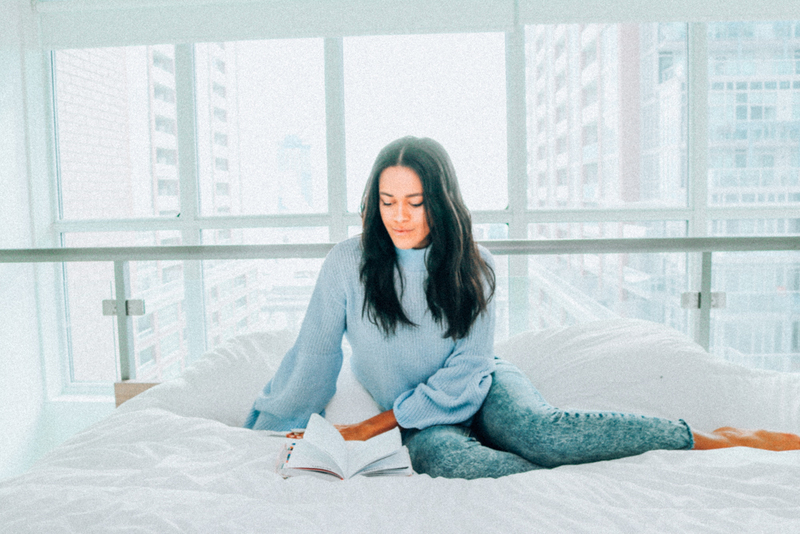 Over 21 in-depth rituals, journaling prompts, video sessions, and energy summoning routines I'll be breaking down what you need to strengthen your energy field, guard your power, tap into an unlimited resource of universal source energy so you can feel your best, show up in your divine light and move through the world in the most empowered way. Your energy is the key to every single relationship, opportunity, and level of abundance in your life. If you want to have an incredible life, you have to learn how to protect and elevate your energetic frequency. This training is worth over $500, and is sold everywhere else for $150. But when you grab it at this limited time offer, you'll access all these life-changing tools, rituals, and routines for only $27. You find yourself to be emotionally or energetically senstive. You feel (and that's a good thing) but you want to get in control of the energetic experiences you're having. The training is brought to you over 21 days and delivered to your inbox so you get a daily morning ritual to work on. You'll also get access to our online portal where you can access the complete trainings at your leisure. When you purchase the training from this page, you get lifetime access to the content. FOR EVS. Even if you're getting it on sale. You'll also get access to all the updates I add to the training in the future. What If I'm not a coach or healer, is this for me? We live in a world where there are so many daily drains on our energy levels. Distractions, commutes, being with many people at once as an introvert or empath. Learning how to protect and elevate your energy will absolutely change your life, and how you feel on the daily. I recommend this training for anyone who wants to ensure their energy is properly protected. It's perfect for coaches and lightworkers- we have work to do. Get your hands on this amazing training before the incredible price is gone! If you're reading this, you're here for a reason. The universe doesn't make any mistakes. You were meant to see this, and you (and your energy field) needs it more than you can even imagine.